The skin around our elbows is thicker than the other parts of the skin and has comparatively more folds. This particular area does not have any oil glands and thus, the skin on your elbows is much drier as compared to other body parts. If not taken care of properly the skin on your elbows may tend to get drier and darker with time. Other factors which may contribute to dark elbows include overexposure to the sun, dry skin, genetic factors, obesity, hormonal imbalance, increased melanin and dead skin buildup. 6 of the best home remedies to get rid of dark elbows at home. 1. Coconut oil- Coconut oil is rich in vitamin E which helps in lightening the skin as well as improve the overall health of the skin. It penetrates deep into the layers of your skin and hydrates it at the same time. It also helps in repairing the damaged and dark skin. 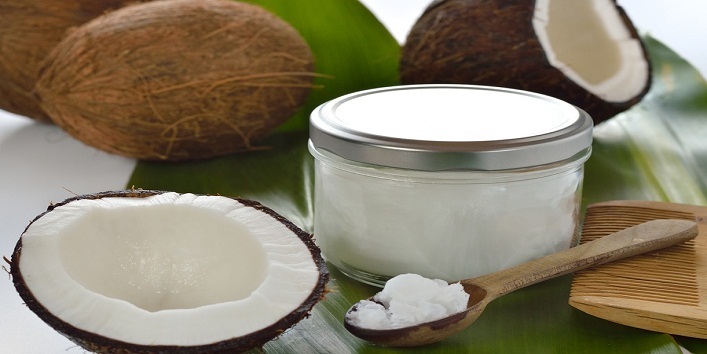 • For best results, it is advised to apply coconut oil on your elbows and knees and massage it for few minutes. Repeat this twice a day for better and faster results. An alternate way to use coconut oil for lightening dark elbows is by applying a mixture of coconut oil and lemon juice on your elbows. To make this mixture combine 1 tsp. coconut oil with ½ tsp. lemon juice. Massage this on your elbows and leave it on for 20 minutes. Wash it off with water once the time lapse. You can also prepare a scrub by combining coconut oil with ground walnut and use it as a scrub to get rid of the dead skin cells which give the appearance of dark elbows. 2. Lemon- Lemon has natural bleaching agents in it making it the perfect remedy for treating dark skin. It also acts as a natural exfoliant as it has vitamin C which helps in removing the dead skin cells and at the same time lighten the skin. It also promotes the growth of new skin cells. 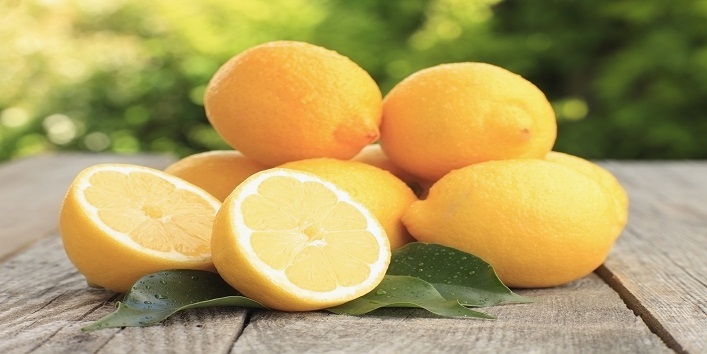 Apply the lemon juice directly on your elbows and massage for a few minutes. Leave it on for 15 minutes before washing it off with plain water. Pat dry your elbow and apply some moisturizer over it. Another way of using lemon juice is by mixing it with honey. Mix 1 tbsp. honey with the juice of 1 whole lemon. Mix it well and apply this mix on the affected area. After 20 minutes wash it off with plain water. Extract the juice of one lemon and combine it with 1 tablespoon of honey. Apply this on your elbows. Leave it for 15-20 minutes before washing it off with plain water. You can follow any one of the above-mentioned remedies every day for a few weeks in order to see results. Make sure not to go out in the sun for at least 3 hours post lemon application. 3. 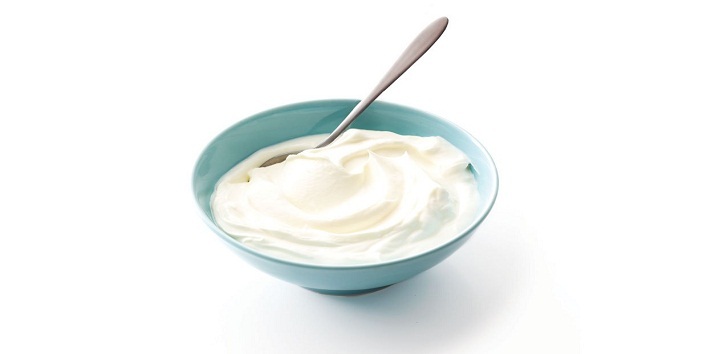 Yogurt- Yogurt also has mild bleaching properties as it has lactic acid in it. It cleanses as well as moisturizes the skin. Combine one tsp. each of white vinegar and yogurt to form a smooth paste. Apply this paste on your elbows and let it dry for some time. Wash it off with warm water, dry it with a towel and apply a moisturizer. Repeat this method daily for at least 3-4 weeks. Another way is by combining yogurt with gram flour. Combine 2 tbsp. gram flour with 1 tbsp. yogurt to form a thick paste. Apply this paste on your elbows and massage it very well. Let it dry and once dry scrub it off using wet fingers. Repeat this remedy at least 3 times a week. 4. 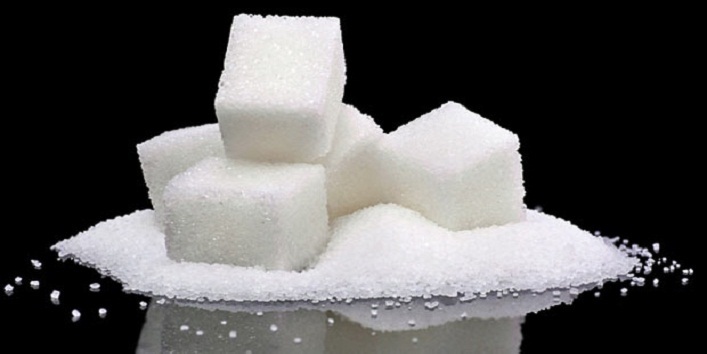 Sugar- In order to lighten your elbows, you can also use a sugar scrub which is very easy to make at home. The sugar granules will help in scrubbing off the dark skin and soften it as well. Combine equal parts of olive oil and sugar to form a thick paste. Apply this paste on your elbows and scrub gently in a circular motion for a few minutes. Repeat this remedy every day till you start noticing the result. 5. 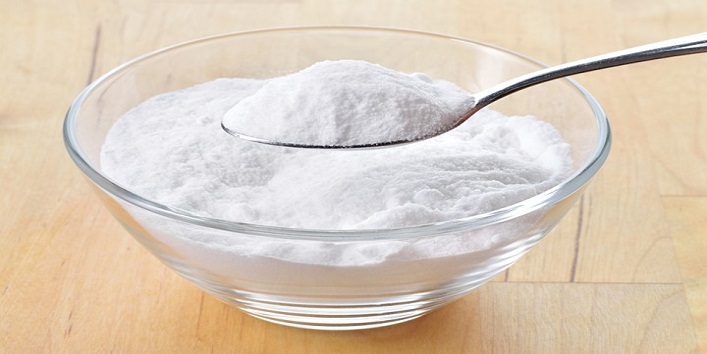 Baking soda- Baking soda has very fine granules and acts very similar to a microdermabrasion process. It cleanses and exfoliates the skin and helps in getting rid of dark elbows. Combine 1 tbsp. each of baking soda and milk to form a paste. Use this paste to scrub your elbows. Rub the mixture in a circular motion for a couple of minutes. Repeat this remedy on alternate days in order to see results. 6. 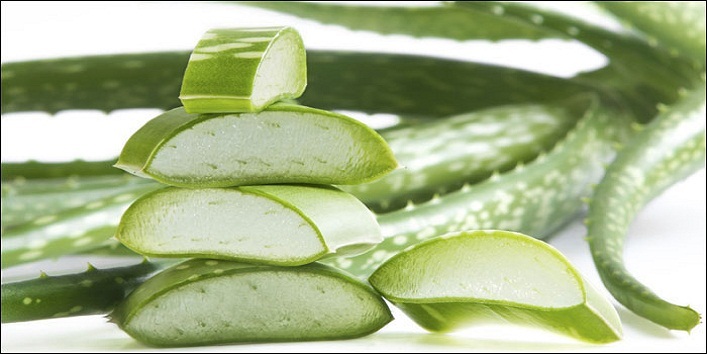 Aloe Vera- Aloe vera has been used for ages to treat several skin related problems and to lighten dark skin as well. It also hydrates the skin and keep it moisturized. It also repairs the cell damaged caused by several external factors. You can use the store bought gel but fresh aloe vera gel is the best. Extract the gel from inside the leaf and apply it on your elbows directly. Let it sit for at least 30 minutes and then wash it off with warm water. Repeat this remedy every day for a few weeks in order to see results.